Luxury condo in 24-hour NEW concierge building. 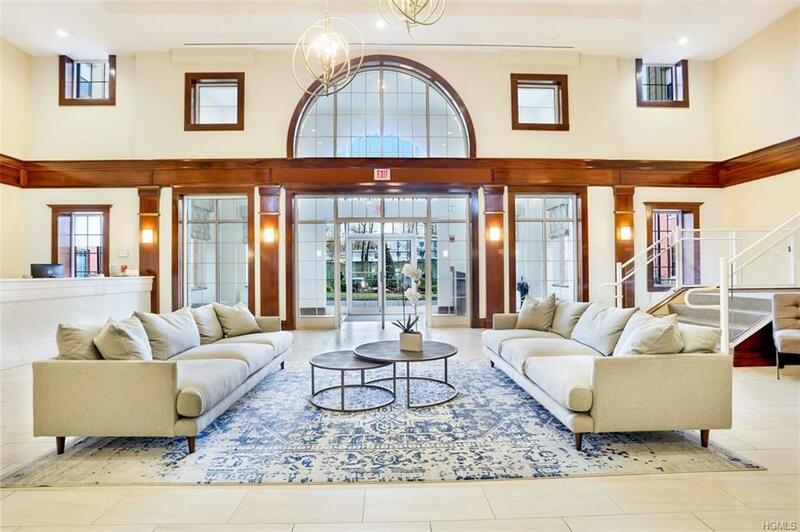 Enter through Palladian doors to stunning & beautifully decorated 2-story lobby. 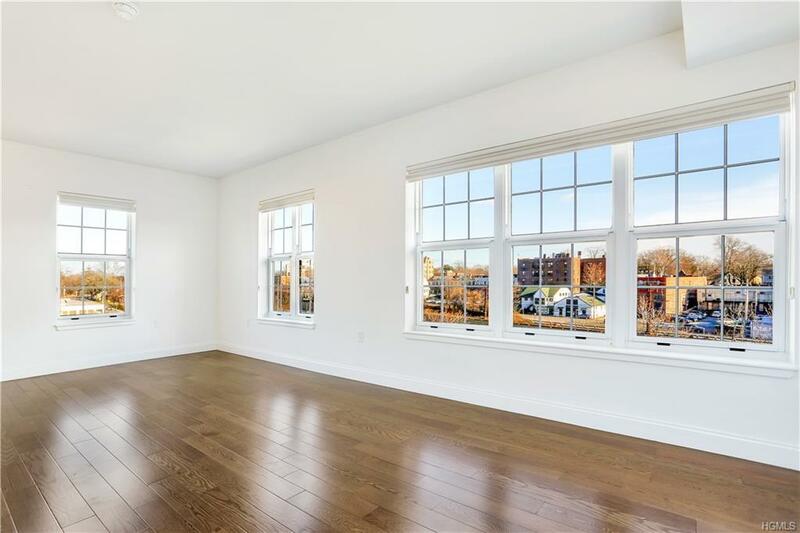 Corner apt boasts sunny exposure w/ walls of windows. 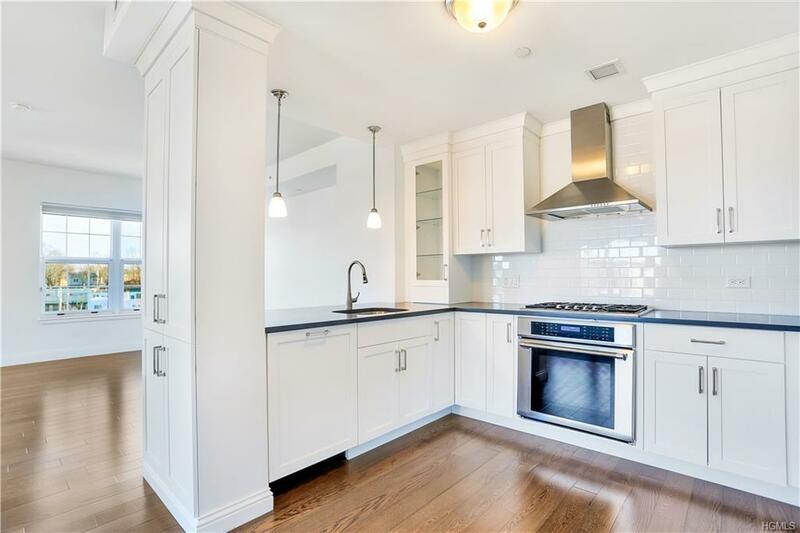 Chefs style & modern kitchen feature custom cabinetry, quartz counters & stainless appliances w/ dine-in bar seating. Open plan allows for kitchen, dining & living rooms to flow together providing a sophisticated ease of everyday living. Ideally situated are 2 BRs w/ 2 grand hallways separating the sleeping quarters. MBR is complete with walk-in closet/built-ins & ensuite lux marble bath. Second BR and hall luxury bath await at the other side of the unit. 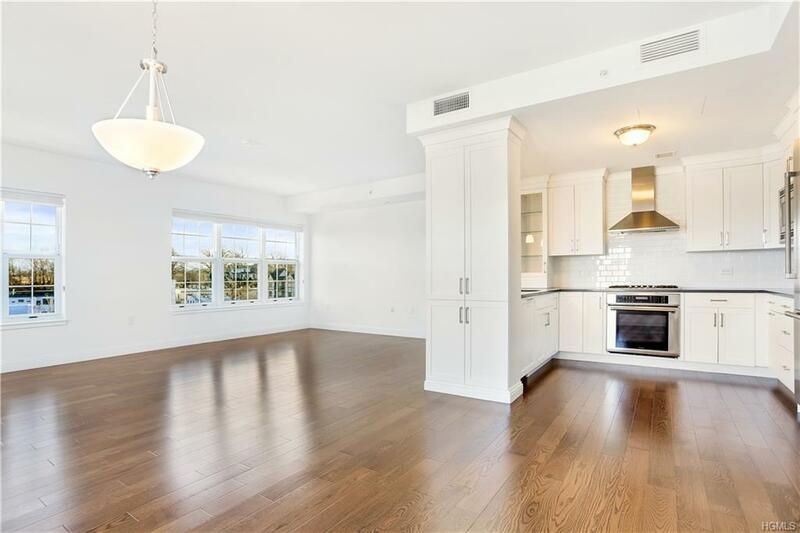 Private laundry, hardwood floors, garage parking space & storage included w/ this LUX unit. Amenities include; car chargers, gym, childrens playroom, club room, catering kitchen, storage room, private courtyard and bike/stroller storage. Blocks to shops, restaurants, parks, schools, farmers market & train station. 35 mins to NYC. Luxury living awaits! Listing courtesy of Linda Filby of Houlihan Lawrence Inc..